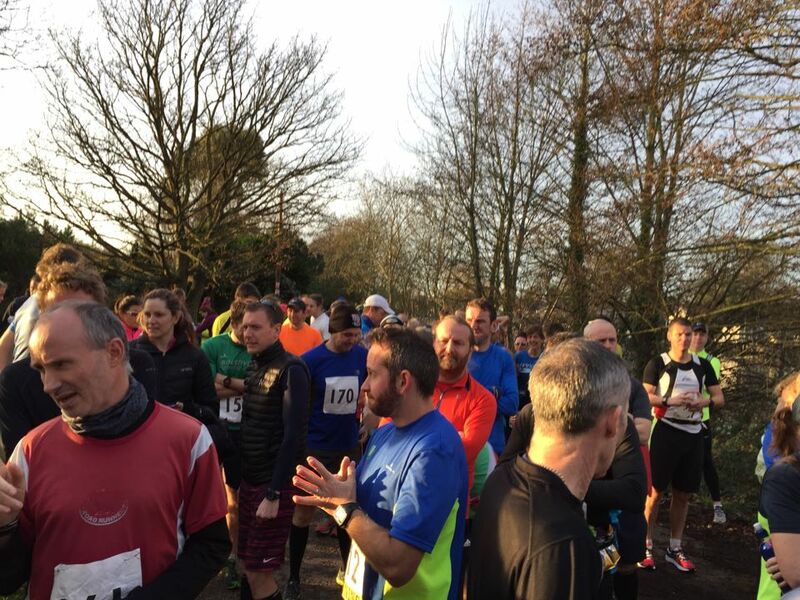 The Phoenix Year End Marathon 2015 was organised by Rik Vercoe and the team at Phoenix Running. 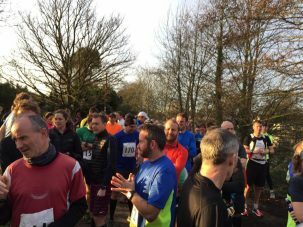 It’s an out and back race along the Thames Path, consisting of four laps of just over 10k between Walton and Hampton Court. Richard and I ran it last year and really enjoyed it. I didn’t film last year because I wanted to set a decent time, which I did. Although quite how decent was a real surprise. I knocked 10 minutes off my previous marathon PB. Considering it was Christmas and there had been a few too many mince pies consumed, it felt great to achieve such a result. In 2014 I ran 9 marathons and in 2015 I had run 18. So making it 19 seemed the sensible thing to do. Ten more than last year. Although I don’t expect to run 29 in 2016. I decided that I would film the race this time, if just for a record of the course than anything else. We travelled to Walton on Thames in Richard’s dying Toyota. The oil light came on and we didn’t realise how serious it was until it was too late. Oh dear. Still it got us there and back. My wife, Victoria, came with us and we arrived at the Elmbridge Xcel Leisure Complex for registration in good time. As usual there were plenty of familiar faces and a ton of 100 Club vests on display too. 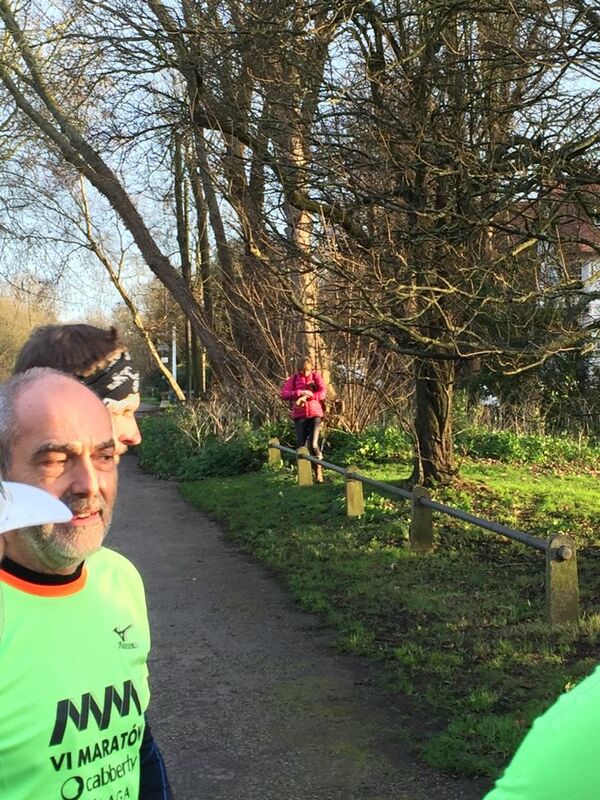 I particularly recognised Steve Edwards who is a bit of a legend having run well over 700 marathons. 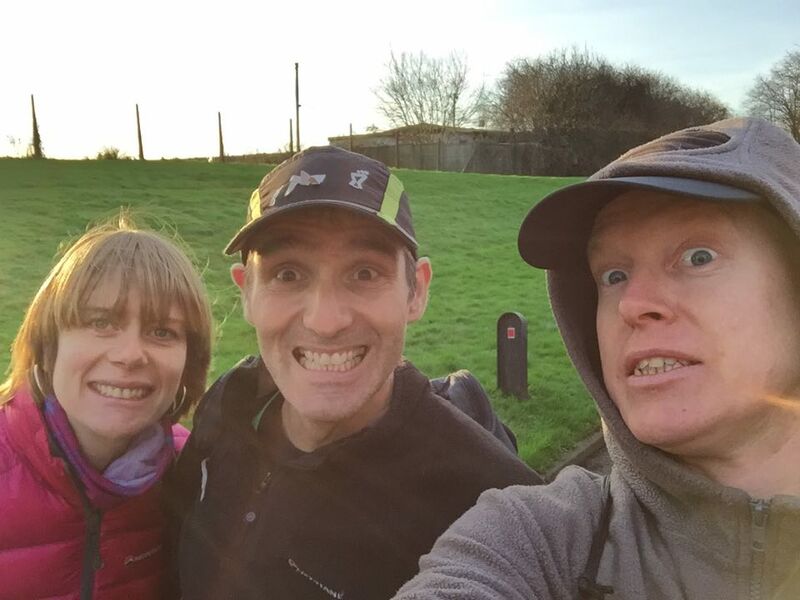 Then there was Gil who has run close to 700 and finally Paul Ali who films a lot of his runs and has done some epic races including Spartathon, a 250km race from Athens to Sparta! The Phoenix Year End Marathon 2015 was the last of four marathons run on the same course during the year. Starting at the Weir Hotel on the banks of the Thames at Walton, the route follows the towpath for just over 5km to the bridge at Hampton Court. Then you turn round and run back and repeat four times. There are aid stations at either end. Now, admittedly that sounds a bit dull, but it’s really not! Firstly the course is really pretty. Both times I’ve run it, it has been cold but really sunny. The scenery is very pleasant as you can see if you watch the film. There’s the river, the locks gates, the river boat houses, the expensive properties on the opposite bank, rowers bridges and greenery. Then there’s the fun of seeing every runner in the race and giving them encouragement on the way. So often you can race and never see 80% of the runners in the same race, so I think laps and out and back races are really nice for that. As I often am, I was torn between running as fast as I could and filming. This time I decided I would run the first lap with the camera, the two middle laps camera free and then carry the camera on the final leg. I started with the aim of finishing in under 3:20 and I felt fine for the first half. Richard was slightly ahead of me for the whole run. However, by the start of lap three I could feel fatigue creeping in. I was in 6th place most of the run with both Steve Edwards and Paul Ali behind. Having run two laps without having to hold the camera, when I came to pick it up at the beginning of the final lap it suddenly felt very heavy and cumbersome. I was slowing anyway but I think this added to the problem. I was still in 6th at the final turn with 5k to go but I wasn’t catching Richard and I could see Steve and Paul closing in. Sure enough with 3k to go Paul Ali surged past and not long after so did Steve Edwards. They also both managed to catch Richard too. So we crossed the finish line in 7th and 8th. Richard in 3:21 and me in 3:22. 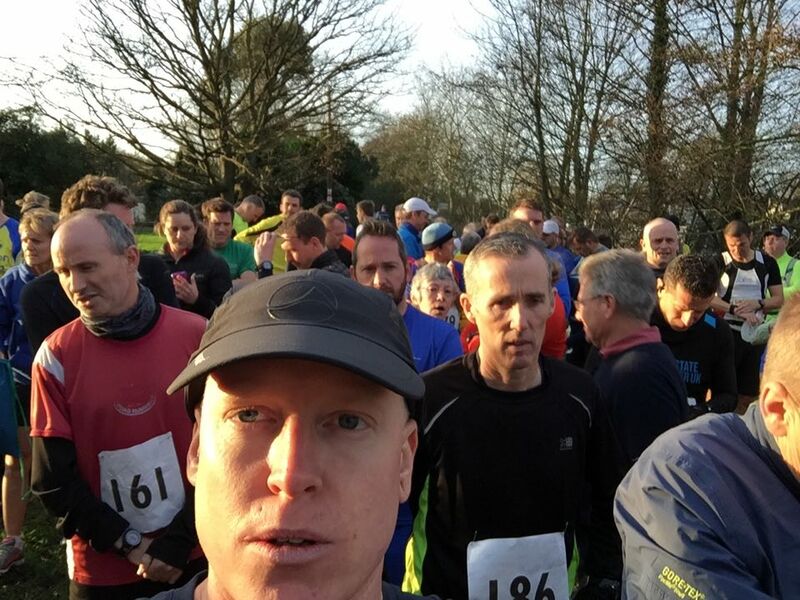 I missed my sub 3:20 target and I blame the extra Christmas weight! Still, the Phoenix Year End Marathon 2015 is another one in the bag and I’m not concerned about the time. Just got to ramp up the training now because we have a very big year coming up. 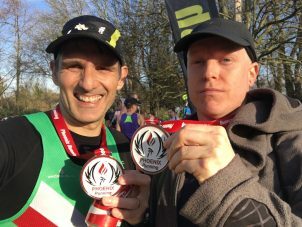 As well as all the usual marathons including Paris and London, Richard and I will be running the now iconic Transvulcania Ultra in May then the South Downs Way 100 in June. At the beginning of July I will be doing The Bastion, my first full triathlon distance at Hever Castle and at the end Richard and I are doing the Grim Reaper Ultra 100 miles. So it’s going to be a monster year. If you have enjoyed this Phoenix Year End Marathon 2015 race report and video, please don’t forget to give it a ‘like’ or a +1 and share it with your friends. Please also subscribe to my new YouTube channel! I’ve moved all my race videos off the family channel and on to a dedicated Film My Run channel. So please subscribe by clicking here Film My Run YouTube Subscription. Thanks.